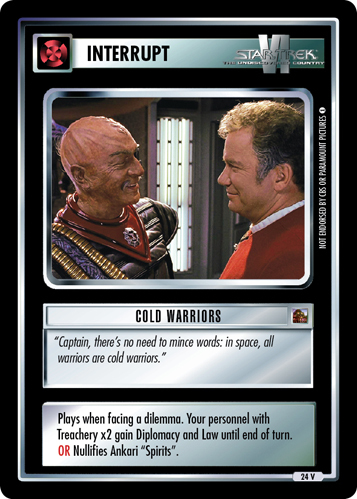 "Captain, there's no need to mince words: in space, all warriors are cold warriors." Plays when facing a dilemma. 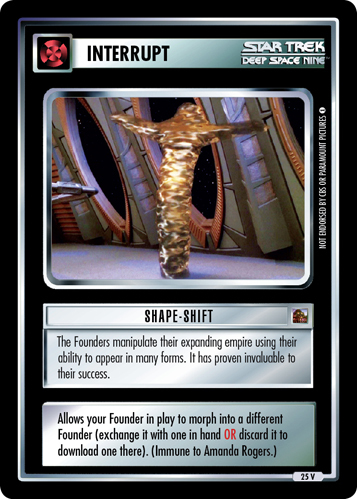 Your personnel with Treachery x2 gain Diplomacy and Law until end of turn. OR Nullifies Ankari "Spirits".